In the beef industry, you’d really hope that the national family of beef producing families would pull the same wagon with messages on the side that declare the common attributes of beef. Beef is safe, wholesome, nutritious, sustainable, healthy and delicious. Regardless of the production method of grass fed or grain fed, both systems offer choices that are good for consumers and healthy for our industry. Having sold both grass fed and grain fed beef simultaneously for almost my entire beef-selling career, I can honestly state how proud I was to represent the two types of production methods to chefs and retailers. If they wanted grass fed, organic, hormone free, choice, prime, select, no roll, ABF, black, red, Angus, Hereford, Simmental, Holstein or many other breeds or variations, I had it all to show. The beef industry should be proud of the variety offered. Most are, but there still is a small fraction of detractors that would prefer to pick up rocks and throw them over the fence at their cousins that don’t raise beef exactly the way they do. Some do this to differentiate their products and they are certainly free and welcome to call out the attributes of their beef and brands to inform consumers of their production practices. Some consumers feel better about buying grass fed and finished beef, from animals that were never in a feed lot or given hormones or antibiotics. Grass fed beef production in 2015 was at an estimated 1,728,000 head, about six percent of the 28,800,000 head of total beef slaughtered. Clearly there is a growing market for this beef production model. Other consumers, those in the 94% category of beef production variety, prefer marbled USDA graded select, choice or prime beef. We have it all. Whatever you want and are willing to pay for, the industry can provide to you. A small but vocal group of beef producers, either because they are mean-spirited, uninformed or a variety of other vain reasons, have decided that that traditionally fed beef producers are the enemy and therefore differentiate their production method choice by unscrupulous boulder throwing. This only hurts the whole industry. It's like kicking your grandmother! For those in this wagon, I’d like to gently remind you that fellow beef producers are not your enemy. The Checkoff program is not your enemy. Neither is the USDA, corn farmers, feedlot owners or dairy farmers. Your true enemies are those that want to put you out of business, take away your lifestyle, ranch or enterprise and have you become a vegetarian. I am talking about the HSUS, PETA, Mercy for Animals and a host of other AR and radial environmental groups, many who have infiltrated our ranks. As wolves dressed up as Holsteins, these groups have convinced some of you that your enemies are your own family members. If you are in this group of beef industry antagonists, I implore you to stop your groundless rock throwing. Join the industry groups that collectively manage the Checkoff program. Pull up a chair, get on a committee, become acquainted with the state and national programs that work every day to increase ALL beef demand, without discrimination at home and abroad. Our industry has enough challenges and threats from regulations, AR groups and overzealous naïve environmentalists. Our own family members should not be the targets of our unrest. Let’s all pull the same wagon with consumers riding in the luxury of the choices we proudly offer them for safe and affordable beef. After a dear, sweet, elderly woman in her mid-nineties from my church was diagnosed with throat cancer, she couldn’t easily swallow solid foods. Her doctor prescribed bone broth, three times a day, as the best way for her to get the nutrition she needed to stay alive. He knew what many seem to have forgotten; that bone broth contains nourishing substances that are found nowhere else. So her children and grandchildren made enough broth on weekends to get their mom the supply she needed for the rest of the week, and it helped her to stay alive for many years. Growing up on the farm, it was our normal practice to always make our own bone broth. Since we wasted nothing, when we cooked whole chickens on the stovetop, we of course saved all the nutritious broth. It was great for eating just as broth, or for adding to other dishes as a delicious ingredient. We’d also save all the femur bones and many of the other bones from pigs, lambs and cows, baking them first to brown them and then boiling them to get the high-in-protein and nutrient-dense marrow out of the bones and into the broth. Because American consumers no longer buy whole chickens and boil them to make their own broth, nor can they easily buy beef, pork, lamb and fish bones, the meat industry is staring at an overlooked opportunity to package and market bone broth in new and creative ways. I believe there’s a largely untapped, growing market for broth that warrants a frozen section at every retail store. 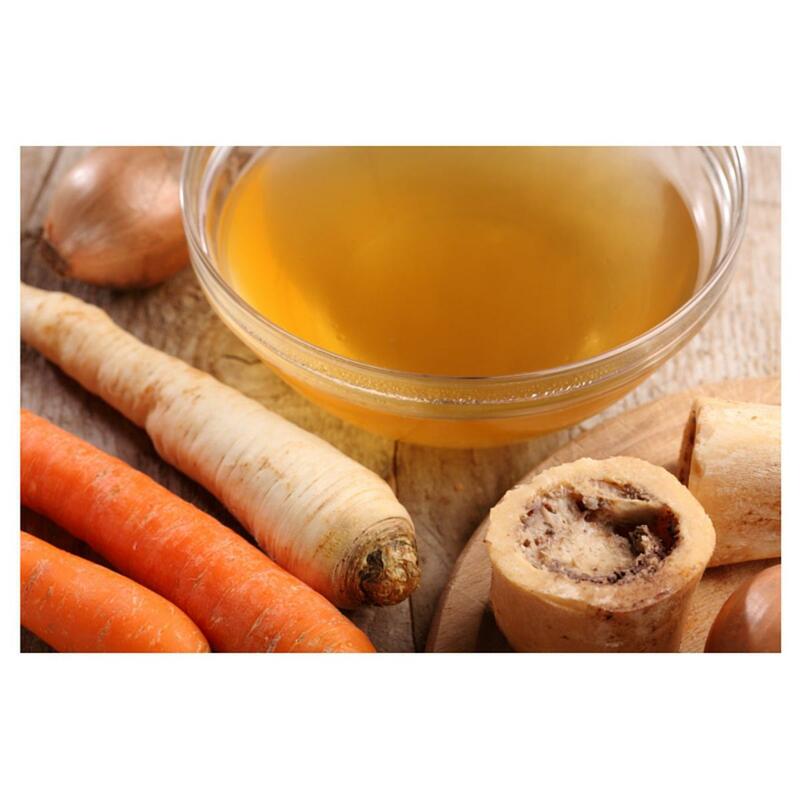 The industry could easily be making various types and sizes of bone broth more visibly available. Bone broth can currently be purchased in a wide variety of packaging options at Amazon and other online retailers, but it’s very expensive to purchase with added shipping costs. And if you value convenience, you can even buy bone broth in K-cups for your Keurig machine now, but it’s two bucks a cup and the flavor’s just not as good as frozen broth or the better-yet home-made option. The retail environment has a clear competitive edge here. When I’m at meat plants, I lament seeing so many bones getting dumped into roll-off trailers that could be used for broth first, before being sent off. These bones are most often being sent off to be rendered into domestic animal food. I guess it’s nice to know that at least our pets are well nourished. But people need the nourishment that can only be found in bones as well, and we should extract another entirely profitable step in our processing of bones before we give them up. By not eating more broth made from bones, we are missing out on some great nutrition: What’s in these bones is good for our bones! Broth is good food, and a great food value. If you haven't treid Pho, your really missing out! It's made by boiling beef bones for 6 hours to get marrow out of the bones and into the broth. If you buy broth in the store, check the label carefuly and make sure it's made from meat bones. This is the most nutritious type for your body. Food is a huge part of the human experience. Because we tie it to our relationships, our celebrations, our recreations, and our sense of well being, it’s an emotionally evocative element of living. 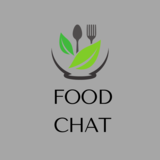 It’s hard to over-estimate food’s influence in our lives, or its power to illicit controversy in our culture. When it comes to our food, few issues provoke a stronger response. This is one reason why GMOs are strongly debated. I have been in the food production business all of my life in one form or another. I have raised and sold traditionally raised food and organic food. Both are necessary and sustainable. It would be irresponsible of me to keep quiet about my experiences, over the last 20 years especially, selling traditional and organic food. Organic food consumption is growing and it’s a great option for those that want to pay for it, but it’s not better than non-organic foods. Most producers (those that actually grow the food) of organic foods are careful and responsible to say that organic foods cannot feed the world. There simply isn’t enough land, water and resources to do it. And they say candidely that genetically engineered (GE) foods, aka GMOs, are no better or worse than organic foods. The real promoters of fear and misinformation about GMOs are the organic label marketing departments and organic trade associations. 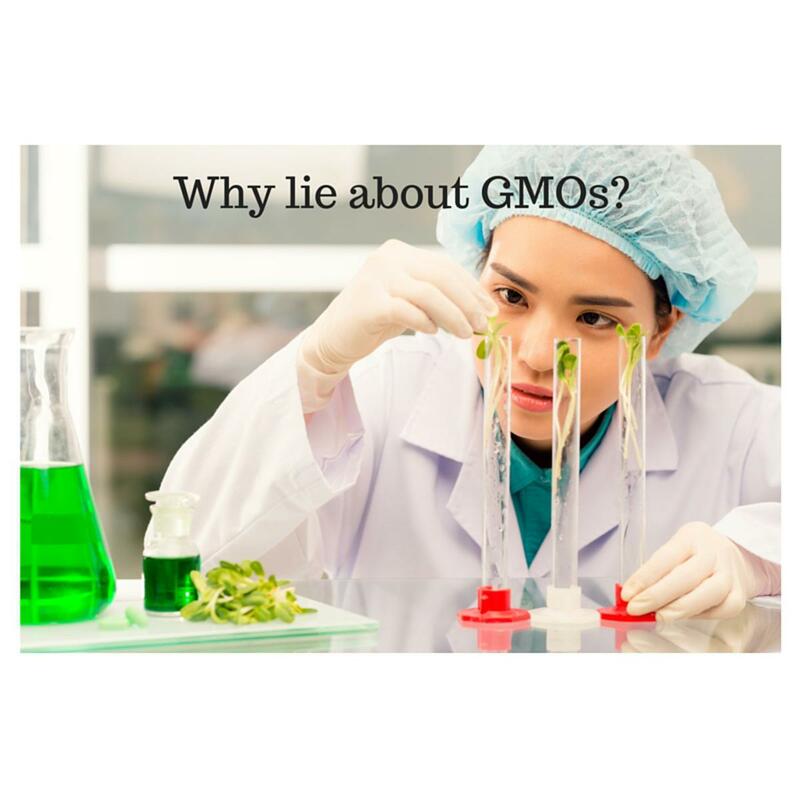 At a GMO panel discussion I recently attended, an organic trade group spokesman blatantly lied to the 200 people in the room by saying, “There is no peer reviewed science showing that GMOs are safe”. This is the exact opposite of what is factual. The non-GMO groups only rely on the studies they fund or find that support their agenda. Here’s the skinny of what’s really going on: Organic food labels profit by scaring us about GMOs. They work hard to grow sales, their brands and use scare tactics to differentiate their brands. Organic trade groups make serious bucks pumping out biased and non-factual hyperbole. I will blog continually about the meta-analysis, peer reviewed science that show GMOs to be safe and sustainable. I will show you the peer-reviewed science. Universities and governments around the word continually review GMOs and the worldwide consensus it that they are safe. No GMO seed producing company could pay off all the scientists around the world to keep quiet about GMOs. Such stories are great fiction but are false. A disclaimer. I do not receive any money, support or information about GMOs from any biotech or other company. I am not paid to write what I write. I sell organic foods, so I am not even benefiting with increased sales by sharing this. 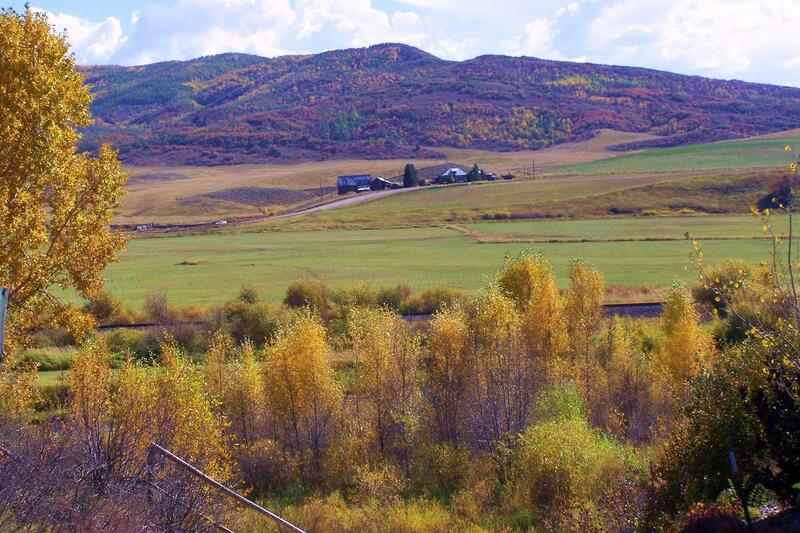 I am a simply a Colorado farm raised foodie reporting objective facts for the sake of providing honest and reliable information about food production. When I teach Center of the Plate (COP) seminars across the country, one question I’m often asked by Millennials who’ve joined the foodservice selling corps is, “Why can’t I get the same high quality steak at my local retail store that I get at my favorite steakhouse?” All things being equal, such as USDA choice (or higher) graded beef, the answer is aging. A trained chef in a restaurant would never send out a steak that has little or no aging, be it “wet” in the vacuum package or “dry” in a specially designed dry-aging cooler. Why won’t most retailers sell aged steaks? Before roll-stock packaging technology (aka, thermoforming or vacuum packing) the answer was shelf life. Steaks cut in the meat department would start to rot sitting in those overwrapped foam trays, and most consumers won’t buy brown colored meat. But with roll-stock packaging, steaks can now be packaged in vacuum-sealed individual portions that allow the steaks to age for up to 21 to 28 days without spoiling. We’ve all seen these in the self-serve case in the meat department. Some steaks are now being sold this way, but the vast majority are still sold un-aged, from the full-service glass case or in foam trays overwrapped in plastic, neither of which provide a wet aging environment. The main reason retailers continue to sell un-aged beefsteaks in the full service meat case is profitability. They make more money cutting steaks than they do buying case ready roll-stock packaged steaks, even though that would be in the best interest of the consumer. Plus, the meat counter looks so great with all those bright red steaks lined up under the glass with flowers and vegetables on the boarders. And so the retail beefsteak consumer-rip-off rolls on at many meat counters. 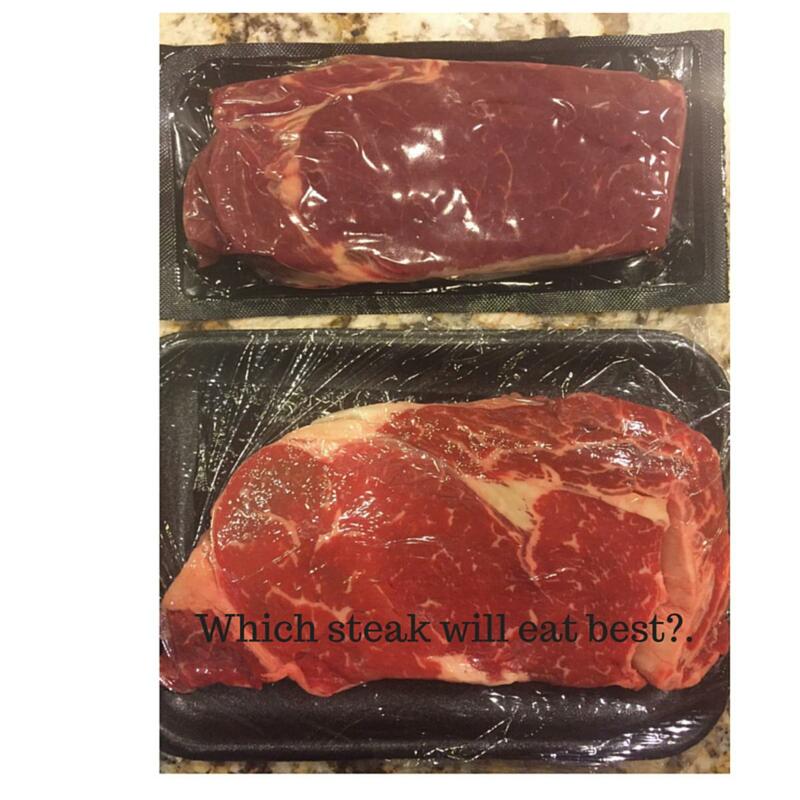 Uneducated consumers continue to face the disappointment of taking home expensive, tray packed, un-aged steaks. Most are simply unaware that proper steak aging provides the most flavorful bang for their buck. What a shame. Consumers are paying for a premium protein item and getting inferior quality beef. It's like paying for a Rolex and getting a Timex! This antiquated, 50 year-old steak merchandising model leaves wide open a great opportunity for a major retailer to step up, educate consumers and provide them with restaurant quality steaks at the retail level. Consumers have already accepted roll-stock packaging. Retailers could buy machines to do this in their meat departments, or most meat processers now have this technology, enabling retailers to sell case-ready steaks that have a 21-day shelf life. Consumers not in the food business need to know that beefsteaks absolutely require age to become more tender and flavorful. With most proteins you’d feed your family, like ground beef, chicken or seafood, the fresher the better. So buy your ground beef and fish straight out of the full service meat case, but never un-aged steaks. Try buying your steaks at a meat market that only sells wet or dry aged steaks. Ask the meat department to explain their aging program for steaks. Ask about the roll-stocked packaged steaks they offer. Don’t hesitate to ring the bell and ask the clerk to explain the steak-aging program to you. Tell them you want a restaurant quality steak. If you get a “deer in the headlight” look, like I often do, either buy your steaks somewhere else, or find the roll-stock packaged steaks in the self-serve case yourself. What have your experiences been with buying retail steaks? Are you finding retail meat cutters who know how aging effects meat quality and who can make informed recommendations for you? While in college I worked at a commercial bakery during the night shift. My job duties varied day by day, but I remember one day vividly. Someone had accidentally misdated the baked bread and pastries on a particular production day and the shelf life codes were wrong. So we were instructed to throw out about thirty pallets worth of perfectly good bread and pastries. I remember asking my supervisor about why we wouldn't call the local food bank or homeless shelter and donate the product. “Too much of a hassle, I guess. We just do what we’re told”, was the answer I received. Sadly, this wasn't an isolated incident and that summer I help throw out thousands of cases of baked goods. 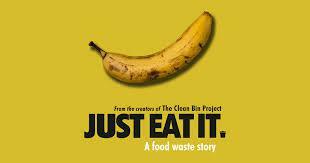 There is a new Canadian documentary about the crazy amount of food waste in the U.S. and Canada called “Just Eat It. : A Food Waste Story.” I would encourage everyone to watch this short documentary over the holidays with your family. You can purchase the film for $9.99 or rent it for $3.99 on YouTube. It’s very well worth four bucks. See www.foodwastemovie.com for more information. In the documentary, a couple decides to try to eat primarily, unspoiled, packaged food that has been thrown out into the garbage for six months. See how they do. Could you do this? For 6 months? Not me. Working in the meat industry for over twenty years, I have seen only a small amount of meat waste. In the plant, If we ever have to rework product for packaging or other reasons, the meat can most always be donated, cooked or sent to rendering. In only a few instances have I seen meat thrown away because it was too spoiled to render. The most food waste I have seen in the industry has been by looking into the roll off containers at the back docks of the plants. There is still a lot of meat on those bones. Yes, this all goes to rendering where it’s made into pet food, but there’s still a lot of perfectly good meat that could be used for human consumption. If only we could find a way to recover all that good safe, edible beef left on the bones at beef plants. Wow, wouldn't that be something! Whoever can figure out how to do this would be an environmental hero in my book. After watching this film, I know that I am very guilty. I do throw away a lot of food at home that goes bad in the fridge or sitting in the pantry too long. The documentary convicted me that I need to do a better job of managing food at home. I really like the idea put forth of using a bin in the fridge marked as “eat first”. There's a lot of other great practical ideas in the movie. What about you? Have you seen a lot of food waste on the farm, at the store or at places you have worked? How could we better utilize the food we produce that is “undesirable”, like produce that isn’t perfect? I am thankful for the abundant food we are blessed to enjoy because of farmers, ranchers and growers that work hard to put food on our tables this holiday season. My daughter Nicole is a high school senior this year and for the past three months we’ve been visiting universities that offer both nursing programs and music, as Nicole plays the viola, but wants to have a career in health care. My son Jonathan is a high school junior, interested in ag, ag policy or meat science so we’ve also taken him to visit schools with leading ag programs in our college search travels. We’ve sat through a half-dozen financial aid workshops at various schools and the costs of going to private or out-of-state schools is about $40k to $50k per year, MSRP. The total bill is about half that for in-state schools. Most schools offer academic scholarships of $8k to $15k per year for good grades of 3.5 GPA or better. There are no scholarships for nursing programs, and few for ag programs, but music, like sports, can get you $5k to $15k per year at some schools if you are good and the school really wants your particular talent. We should not be asking our next generation of workers to start their career with any debt, expecially considering where housing costs have gone over the past twenty years. How are they supposed to live? All we are teaching them really, is to go into debt for the rest of their lives. Nice. Most of us learned what we know from on-the-job training, not while at college. My father, for example, after serving in the Marines entered an electrical apprenticeship program at IBEW Local 68 in Denver. He had a fine career with competitive pay and benefits without a college diploma. It’s far time to start up apprentice programs at US companies and allow students to get their college credits on-line or at local colleges while working. Can your industry be progressive and start this trend? With on-line learning technology and at-work training programs, a college education will be affordable, practical and will allow grads to graduate without any debt. When I went to college, I got a four-year degree from a top private university at less than $10k per year, all in. Those were the good old days. I did have $25k of debt when I got out, but it was reasonable and I paid it back in 10 years. Todays prices for college are ABSURD! Universities are first and foremost businesses. I get it that they need to make money to attract the best professors and top students. They also say that they need to offer the best food courts, dorms, sports venues and attractive campus environments to remain competitive. 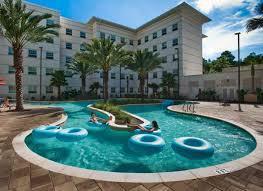 Many universities are now putting in lazy rivers for the kids. That's nuts! They are more “steak than sizzle” much of the time. They keep raising their rates to build, build and build some more. I went on a one-year exchange to Waseda University in Tokyo, while at USC and I was amazed that at Japan’s top private university, the buildings were non-descript concrete with peeling paint. I got a great education there in cold drab, drafty rooms, sitting on wooden chairs watching the teacher write with chalk as he lectured. If you talk to anyone who attended college in another country, you will find that in most countires colleges have not become mini "Univeral Studios" showy campuses, but are very plain and functional. Universities wouldn’t get away with charging outlandish rates if we stopped supporting the insanity. We need to find a better way. What’s your plan for reform? Should GMOs be disclosed by law on food? Should GMOs be disclosed on food packaging by law? Earlier this year I attended the Natural Products Expo West in Anaheim, CA. This is the world’s largest natural and organic products event. Attendance this year was over 71,000. This was my third consecutive year and my seventh time attending this event. Each year the number of seminars on GMOs as well as companies offering non-GMO products has increased dramatically. Poster sized signs all over the expo hall called for a national law that would force GMOs to be labeled on products made with them. The small but noisy group of food activists wanting such legislation will accomplish two things: 1. They will make all food more expensive for everyone unnecessarily and 2. They will use fear and misinformation instead of hard-science to influence consumers and legislatures. Fact is that the general populace has very little idea of what a GMO is, how modified crops are made and what a whole lot of good for the environment they play. Terms such as ABF, organic, never ever, natural, pasture raised, grass fed or the other label claims currently easily confuse a multitude of consumers. Add a much more scientific term like “genetically modified” and it’s a recipe for disaster as far as misinformation and fear mongering goes. I heard the term “Franken-food” more than a few times at seminars and in conversations. Do you want to feed your kids “Franken-food”? Heck no. I think we need a more user-friendly word for GMOs. Do you have any suggestions? Spend three days with me walking through 2700 booths and you will find that there is no shortage of non-GMO products available today. In fact there are more available than will ever survive in commerce. If you are someone that wants non-GMO food products for your family, you are in luck! The marketplace has taken care of your concern about GMOs and there is no need to try to mandate by law that all food products have to be labeled. Soon you will be able to take your smart phone, scan the barcode on the package and get all the non-GMO certification information for the item in your hand. The organic industry benefits the most from the non-GMO trend as organic foods are always non-GMO. Making it a state or federal law to require GMO labeling will make all food more expensive for everyone. It costs money to have third-party audits, certifications and DNA lab tests to confirm GMOs. One vendor of a dozen non-GMO products told me it adds 6% to the costs of comparable food products made with GMOs to certify, test and pay for non-GMO crops. For those that want non-GMOs certified products and are willing to pay more for it, great. The market offers what you want currently. For the rest of us that believe GMOs to be safe, sound, sustainable and healthy, we should not be forced to pay more for food. Same could be said for those that want to buy ABF, Never Ever and Organic. If you want to pay more for these types of food, great. The marketplace makes them for you. In my next blog, I will look at the science behind GMO foods. Are they safe? Who can you trust to know? What's in a hot dog anyways? You have heard the false rumors before I am sure..
"Don't eat hot dogs because they put all the nasty stuff in them like beaks, tweeks, hooves and floor scraps". I worked for 8 years in two plants that made materials for hot dogs, one chicken plant and one beef plant. We made combos (2000 lb boxes on a 4ft by 4ft pallet) of chicken and beef that we sent to hot dog manufacturing companies. This raw material did not come from "floor scraps", it was every bit as USDA inspected wholesome and fresh as any other meat we made including steaks, burgers, blsl chicken breasts and other whole muscle cuts. I have visited over twenty hot dog manufacturing plants, all of them USDA inspected. Hot dogs are made very simply. Meat is ground up with a fine grinder, pushed into a casing (more on that below), placed into a smoker/cooker, cooled and packed into user friendly packages. Hot dogs are already fully cooked when you get them. Don't confuse them with uncooked Italian or German sausage links (also very tasty but not fully cooked most of the time). 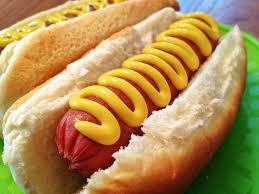 Hot dogs used to be made from natural casings, meaning the intestine skins of pigs. Nowadays they are made with artificial casings, meaning man-made plastic casings. Casings hold the meat in the hot dog, form the shape and size, and allow them to be handled in the smoker/cooker easily. Artificial casings are removed from hot dogs with a "skinner" at the plant, so you don't eat or see the casing on a hot dog like you do on a sausage, brat or link. Hot dogs come in economy, mid-range and premium prices and brands. In general the more espensive the hot dogs, the more the raw materials cost to make them. So all beef hot dogs cost more than pork hot dogs and pork hot dogs cost more than chicken hot dogs. All beef hot dogs cost more than those make with beef and pork. I like all hot dogs as long as they are smoked in a smokehouse. Check the label for "naturally smoked" or to see that smoke flavoring wasn't added artificially if you want a premium smoked hot dog. And whatever you do, DO NOT put ketchup on your hot dog.... You will ruin it! Mustard only (unlesss your'e a kid, then anything goes)! What's your favorite hot dog?